The guy who works behind the front desk in the lobby of my mom’s building is a retired cop from New York and I go out of my way to shake his hand just about every time I visit. 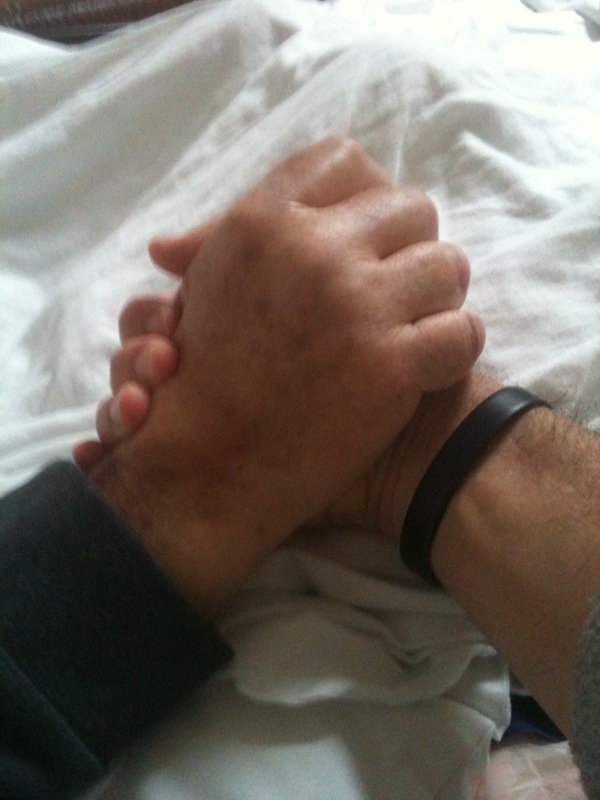 My dad used to shake his hand so there’s a part of me that believes, or wants to believe, that when my palm makes contact with his (after I extend my arm over the front desk), a cosmic bridge branches out instantly through space and time and connects metaphysically to the nook in the universe whey my dad’s energy forever vibrates. And that’s it. That’s this whole blog post. I thought these words needed to be said so I said them. Now we’ll see if they wrap around any brainstems. The physical connection gives Love , and friendship. Gabe just by shaking the gentleman’s hand, shows you both care about each other. Thank You for sharing this blog post. Hi Gabe, thank you for sharing.